This time of year is a time to look forward, and a time to plan the year ahead, so it's important to make sure that your garden is prepared for Spring, and beyond that. Here are a few pointers on how to get your garden prepared for Spring. Your lawn is usually the biggest part of your garden, so it's important it is trimmed, and any weeds are taken care of. If you are tired of mowing the lawn, maybe Artificial Grass could be the answer. This is the time of year to either revive your old flowers, or go out and plant new ones ready to bloom over the next few months. 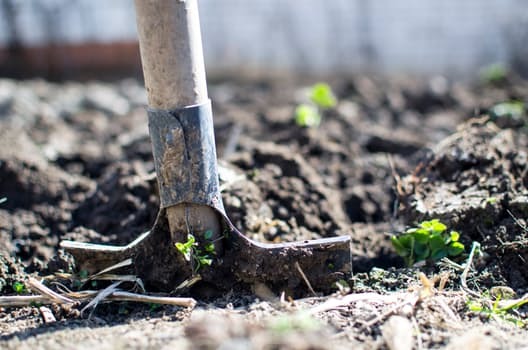 Either way, it is important to turn your soil, and to make sure it is healthy and a suitable bed for growing your flowers. No doubt the timber in your garden would have taken a beating over the Winter months, so now is the perfect time to give them a fresh coat of Paint, and get them looking as good as new. Of course if you feel your Fencing or Decking is beyond saving, or just feel it is time for a change, we have plenty brand new and high quality options. You are undoubtedly looking forward to inviting over family and friends to enjoy your garden over Spring & Summer, so Garden Furniture is a must to offer them places to sit, and as centerpieces for your garden. If you just need a place to store your bike and lawnmower, or if you are looking for a small garden retreat over Summer, our Sheds and Summerhouses come in a range of sizes, and are perfect to either throw all the clutter you don't want in the house, or to create brand new memories that can last a lifetime. These are just a few tips from us at North West Timber to make sure that garden is the best is can possibly for the Spring and Summer months.